Competition and race specification stainless steel fuel line. 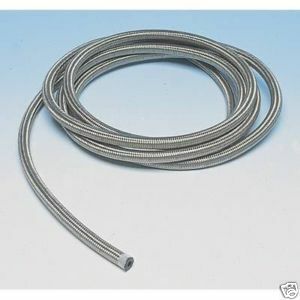 This flexi hose consists of a stainless steel outer shroud, and a highly durable rubber inner, suitable for high pressure fuel line on road and track vehicles. The hose is easy to work with and bend and offers superior protection compared to similar rubber based and manufacturers standard fuel lines.